Reusable eco friendly bag designed to look like a baseball. The exterior of each bag features white football "stitching" pre-printed design. 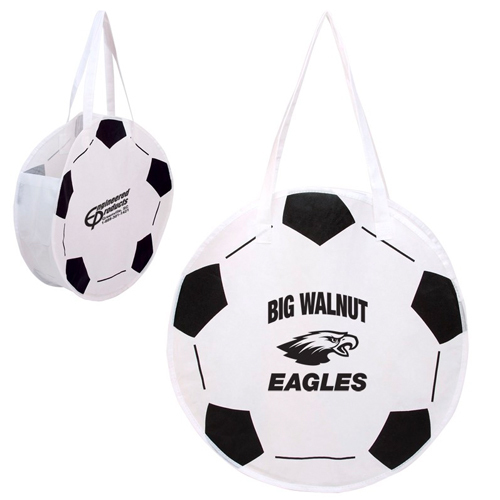 Made of ultra durable, recyclable 80 GSM Non-woven Polypropylene material. Exterior panel features pre-printed stock art designed to look like a baseball. 6" D x 19" DIA. Bulk / 24 lbs / 200 pcs. / 21x21x23box.